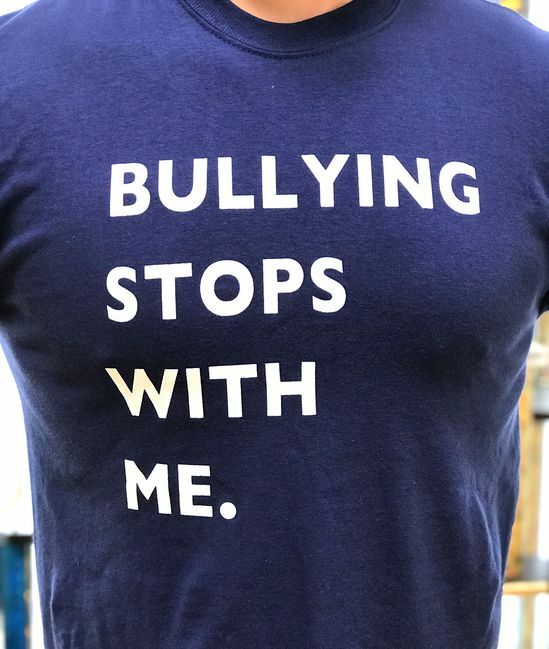 Master Gorino’s Tae Kwon-Do’s “Bullying Stops With Me.” initiative is designed to help our students become a safe friend to classmates who may feel isolated, alone, or physically intimidated. Master Gorino’s Tae Kwon-Do has always been involved in teaching our students to deal with bullying situations- including avoidance techniques, conflict resolution and always using physical responses as a last resort. In addition to teaching self-defense and physical fitness, we emphasize the tenets of Tae Kwon-Do: Courtesy, Integrity, Perseverance, Self-Control and Indomitable Spirit. Our goal is to develop well-rounded individuals who are mentally and physically capable of defending themselves and others. Our students can be the safe person in school or in other places where kids could be targets. This doesn’t mean our students will be involved in fighting. Rather, they will seek out students who may be eating alone, getting picked on or are targets of unfair treatment and they will learn how to seek proper adult assistance. Before our students are allowed to wear their blue shirt, they must sign a pledge to never bully and to always befriend possible victims of bullying. The shirts only cost $4.00 and all proceeds will be donated to WNYHeroes. Our hope is that this anti-bullying initiative will encourage others to stand up for those who are being victimized, while teaching our students to do the right thing. – Be friendly to all my fellow students. – Avoid fighting to the best of my ability. – Befriend students who may be lonely or a target of bullying. – Invite students who may be eating lunch alone to join me. – Seek adult help whenever and wherever trouble arises. – Never be a bully either verbally or physically. 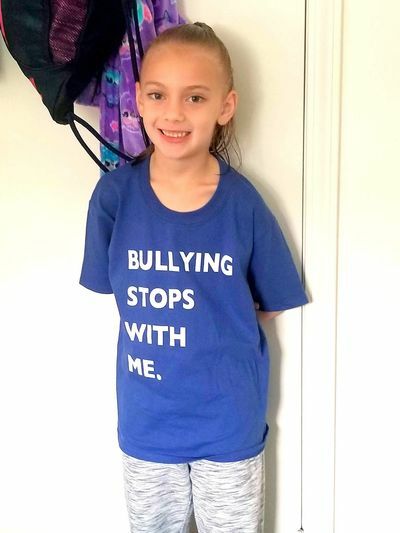 – Wear my anti-bullying tee shirt proudly. – Never disgrace the good name of Master Gorino’s Tae Kwon-Do.